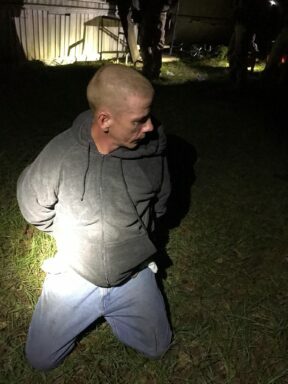 WALTON COUNTY, Fla— Early Thursday a home invasion suspect out of Walton County was traced to a home in Houston County, Alabama and taken into custody. Armed with a knife and a hammer Richard Kelley, 36, entered the home of a woman in Freeport on October 16th and physically assaulted her. This less than 24 hours after Kelley assisted the victim with a flat tire on the side Highway 331. 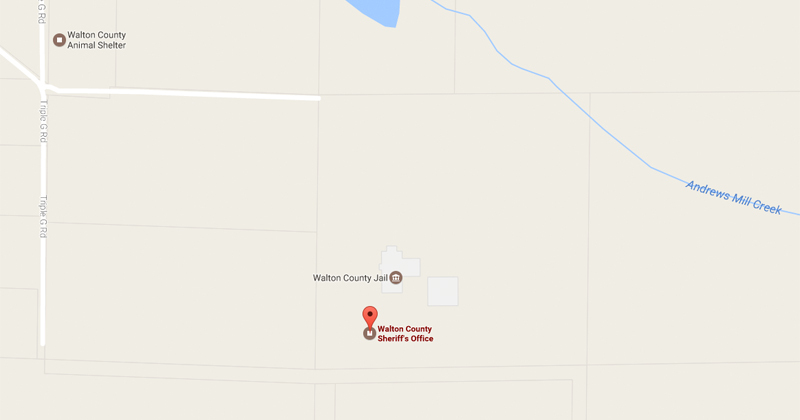 Since that time, Walton County Sheriff’s Office and surrounding law enforcement agencies have been tracking Kelley, who had connections in Walton and Jackson Counties. Kelley had gone to extremes to hide his identity including cutting and dying his hair. Before 2 AM Thursday Kelley was pinpointed to a location in Cottonwood, Alabama by law enforcement. He was taken into custody safely and transported to the Houston County Jail to await extradition to Walton County. His charges include aggravated battery, aggravated assault, and armed burglary. WCSO would like to extend our sincere appreciation to the U.S. 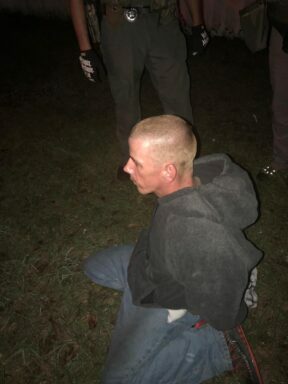 Marshals Florida Regional Fugitive Task Force, Gulf Coast Regional Fugitive Task Force, U.S. Customs and Border Patrol, and Dothan Police Department for their help in effecting Kelley’s capture.